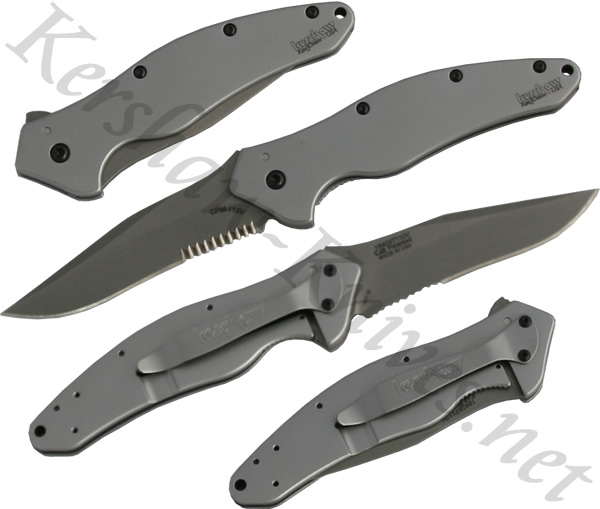 If you want something a little larger than the Kershaw Leek and something with a little harder blade then try out the Kershaw Shallot CPM-110V, model 1840ST110V. This high-end knife features a hard CPM-110V partially serrated stainless steel blade that can hold a sharp edge for a long time. The knife also features the assisted opening that is activated by swiping the lever on the back of the handle. The blade is held open with a frame lock in the handle.